The contradictions of recent Saudi policies have become quite complicated and may soon prove overwhelming! In Syria the Saudis have been arming and financing Islamic rebels to take down the Assad Shia Alawite Bathist regime in Damascus; and as a result elements from the same forces are now threatening to take down the American/Iranian sponsored regime in Baghdad and today declared an Islamic Caliphate! 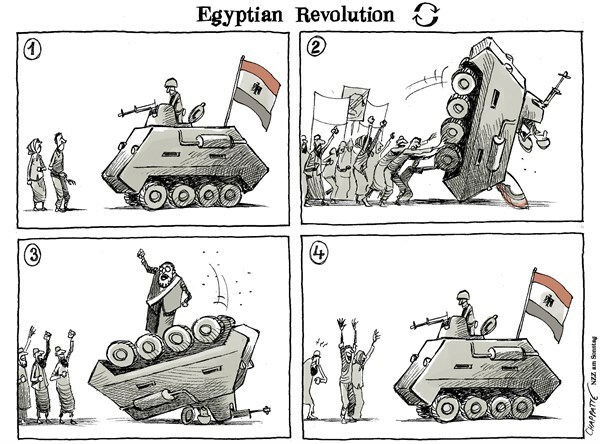 In Cairo the Saudis are the main backers of the Egyptian Military Junta, yet one of their greatest fears has always been a possible military coup against the Royal Family. And the Saudis and Egyptians are now supporting an anti-Qatar Cairo-based opposition group aiming to bring down the Qatari royals, even though the Saudis would be aghast if Egypt or anyone else allowed a Saudi opposition group to operate in public. In Israel the Saudis were pushed hard by the Americans to champion a Saudi and Arab League peace plan, only to be abandoned and discredited by Washington which is itself totally dominated by the Israeli/Jewish Lobby. Even so, under the table, the Saudis and Israelis have been flirting together for some time, though at the same time the worse-than-apartheid situation for the Palestinians has been escalated. And now the Saudi King has for the first time appointed a new and controversial Deputy Crown Prince, something that has never happened before, as an end to the direct descendants of the Kingdom’s founder approaches. 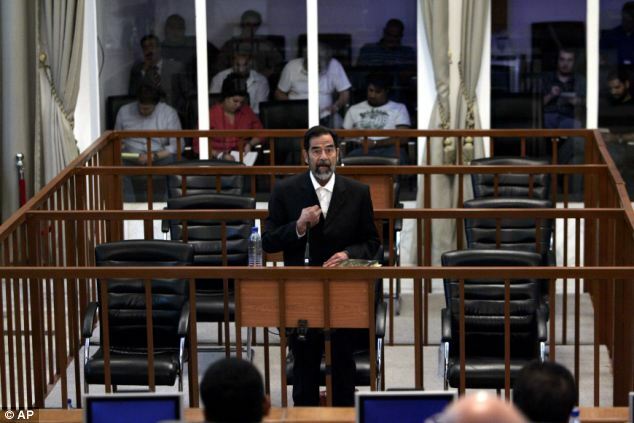 The new appointee has little popular or even family support at home, but is known to be close to the Americans, and this move comes just weeks after President Obama’s most recent visit to The Kingdom. Comments : Comments Off on Saudi End Days? The Israeli army is engaged in worse than ever pogroms against the Palestinians. Large numbers of troops are raiding cities, villages, and refugee camps, destroying homes and property, beating and arresting. Israeli apartheid has become far worse than South African apartheid ever was. The story of what is happening is not being heard in the U.S. and much of the world, but it is known to Palestinians, Arabs, Muslims around the world and will have future ramifications. Check daily MiddleEast.Org for carefully selected and important info and analysis. The end of SAUDI Arabia? And so the choice of Muqrin, a British-educated fighter pilot who has close ties to the United States, (to be the future King) had at least some logic. A relatively youthful 69, he could be king for years, deferring the tricky question of how to transition to the next generation… But the job of deputy has never existed before. Moreover, the naming of Muqrin skipped over at least two other brothers. 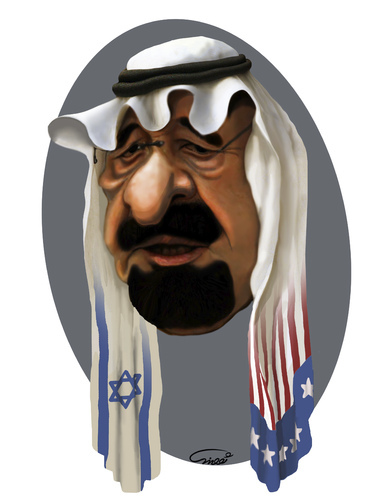 Each year since 9/11 the House of Saud has moved closer to its end – long overdue actually. 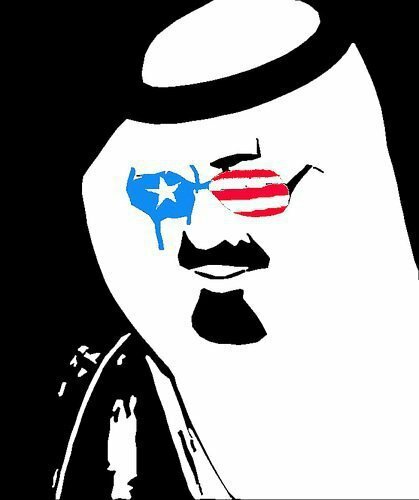 The British/US plot to control the oil, and then the petrodollars, of the Middle East by keeping the Saudi family in charge of Arabia was quite a success for the West for a few generations. But now the end is in sight. Read today’s article about the coming King succession crisis at MiddleEast.Org and check MiddleEast.org daily for critical info and analysis. Comments : Comments Off on The end of SAUDI Arabia? The right-wingers are already desperate to take back the White House in 2016 and they are already shooting big ones at Hillary hoping to defame and even derail her early on. 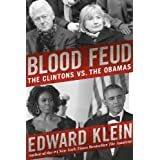 The new book BLOOD FEUD, just out Monday, takes big shots at Hillary, among other things claiming she has a “bad heart” and that the “bad blood” between the Obamas and Clintons is worse than the Hatfields and McCoys of old! Most damning as well is the assertion, documented it appears, that from the start Hillary did not want to go with the Benghazi cover-up story, argued strenuously with POTUS against it, but was ordered by Obama to sell it hard. Hillary in turn then passed the hot political potato on to Susan Rice whose Sunday talk shows disaster ended her quest to succeed Hillary at Foggy Bottom and brought on John Kerry. This whole scandal still swirls threatening ongoing damage to Hillary. Thus whoever did this Benghazi leading, Obama is sure to think it was a super clever move by Bill and Hillary not to put this in her book but to get it planted in Edward Klein’s BLOOD FEUD. As for the supposed quote by Bill about Barack. Klein says it’s true but the sourcing is not very good or even credible and it seems more designed to sell books than meet authentication standards. Comments : Comments Off on Clinton Hates Obama? The Iraqi judge who worked with the Americans and Brits to order the hanging of Saddam Hussein was captured and executed a few days ago. Check MiddleEast.Org daily for such important news and pithy short commentary. Until the early 1990s the US had its largest overseas military bases in The Philippines – Clark Air Base and Subic Bay. These bases were crucial to the Vietnam War and to combating the “Communist” threat of that day from “Red China”. Now the Americans are on a new crusade to surround and contain China with military bases stretching from Korea to Japan to Australia and The Philippines. It’s a much more complicated and multi-faceted Cold War now. But containing and restricting both Russia and China is the new raison d-etre for the still growing military-industrial complex…in addition to “terrorism” and Iran and the overall Middle East.